Just announced, one of the biggest mountain bike festival around will be locating to Rotorua, New Zealand for 2015, Crankworx. Also coming along with will be the Enduro World Series. 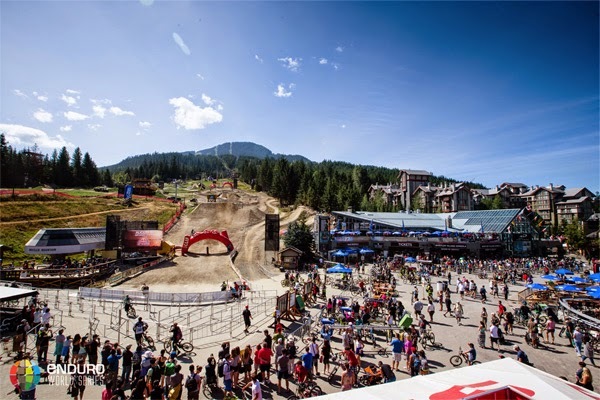 For 5 days (March 25th to March 29th 2015) Rotorua will play host to mountain biking Crankworx style, including the events, teams, sponsors and riders to all be in New Zealand for our summer. Mountain biking’s defining celebration is breaking new trail and setting the course for the future of the sport. Crankworx organizers announced today that world-class riding will kick off the 2015 mountain bike season with a brand new stop on the Crankworx circuit - Crankworx Rotorua. From March 25 to 29, 2015, the festival will alight in New Zealand for five days of two-wheeled competition, spectacle and celebration. Along with its latest festival, Crankworx will be transforming many of its biggest events into stand-alone series’, including the triple crown of slopestyle, a pump track challenge series, a dual speed and style series and a four-race Crankworx downhill series (two of which will be in Whistler). The Enduro World Series will also kick off the 2015 season in Rotorua as a part of Crankworx. Rotorua has become known as the home of mountain biking in New Zealand. Red Bull’s magazine, The Red Bulletin, ranked Rotorua’s Whakarewarewa forest in the top eight mountain biking destinations in the world in 2013 – the only Southern Hemisphere location to feature. Mutu, along with Deputy Mayor of Rotorua Dave Donaldson, have been in Whistler taking in the 11th year of the fest in Whistler.